“Now, we will say that there is only so much that can be accomplished within the scope of Humanity’s permission, invitation, welcome – however you wish to envision it. We have had what you would call limitations, but really it has all been so as to maintain a steady flow. There have been many potential detours onto different timelines which have been by-passed according to the Divine plan which you, yourselves, participated in creating long, long before you came into your present bodies. And this is the way it has to be. This is Divine Order, Divine Law! None of this – absolutely none of this progress – could have happened without you, Beloved Ones!!! “Now, most of you have been here before. 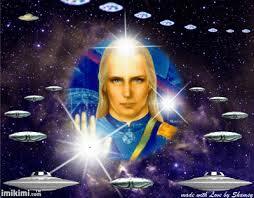 Many of you have been in the Ashtar Command – and, if you have been, you are still! So you have different lives that you are leading in different levels of dimensionality. We know that’s a concept that is still a difficult one to put yourselves in the living of, or to picture yourselves living, but we can assure you that you are! And it transcends time and space and dimensional portals. Not for you to be so concerned with, although you are certainly welcome up onto my ship, The New Jerusalem; up to Mother Sekhmet’s ship; up to your own ships, if you so desire, during your meditation and sleep times. “But what is important is our Mission here in what remains of 3D Planet Earth! We are the ultimate clean-up crew. We have been preparing the way and rolling out the red carpet. You might liken that to preparation for the enactment of NESARA and the welcoming, or the announcement – or however you choose to say it – of our presence among you. “So what do you do? You go to council. Sananda teaches this so beautifully in his Healing Hands of LoveLight Meditation. ** Go into your council because the most important participant in your council is YOU! You sit with your Higher Dimensional Self and with everything – every particle, Nano particle, cell, and atom, and so on – in your energy fields, of the totality of YOU. And you instruct your DNA to let go of those old programs that were put there – most particularly the programs of destruction, which you call ‘death’ – and you commit and you inform your DNA and your DNA Program Manager – which is you, a part of you – that you’re changing the program. You’re choosing a different timeline for your physicality! “You know, this is a real High energy experience, and you want to get through it with ease and grace and comfort. Right? No jarring around! Ease and grace, flowing upward. So you talk to yourself and you can bring in your guides. You can bring in your healing team. You can bring in your Divine Presence as the One We All Are, GOD, God I Am or Mother/Father God, Creator – however you want to include ALL of yourself in this council, and go for it, because the only person who can ultimately do that for you is you! You can call upon many. 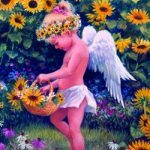 We have many beautiful, wondrously empowered healers in our own Ashtar On The Road Family, and it is certainly appropriate to call upon them for assistance. But the one in charge of all of this is YOU, Beloved Ones, each and every one of you!!! “And the very first time I spoke to an audience – I don’t measure time – but it was a while ago in your time. I talked about ‘beaming,’ being a beamer of Love and Light and I’m still talking about it today, because that is the most important Mission that you came here to participate in!!! 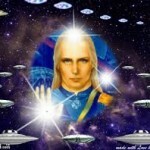 You each have your own special gifts, your own special perspectives, but what unites you as members of this Ashtar On The Road Family, and as members of the Humanity of Planet Earth, is that you are all Divine Beamers! So get together on that when you can. Join in!